100% apples – approx 160 per bottle. The apples up to 160 per bottle are needed) are mashed ( made into apple cider and fermented) all on site. Then they distill the resulting hard cider in their 20 plate hybrid copper pot/column stills rather than the industry standard column stills – which are huge affairs that produce industrial grades and quantities of spirits for the mass market. This is a very labor and cost-intensive process. Unlike most vodka producers, they ferment and distill it themselves in small batches,distill it and bottle it so that it ensures quality and consistency from the fruit to the bottling. Most of the other vodkas (in Russia and America) buy bulk ethanol, tweak it, and add water. Tuthilltown distills this product (to 191 proof) twice in order to achieve the purity they are looking for while still retaining a apple essence. This vodka has a more pronounced ( in a relative sense of the word) apple essence to it than it’s sister Spirit of the Hudson vodka which is distilled one more time (for a total of three times) to render it closer to the ideal (to some people) of a tasteless vodka while still retaining some apple identity. Appearance: Bright silvery, clear as a bell with the kind of weight to it that makes it almost seem like a light mineral oil. On swirling, it leaves a thin clear coat on the inside of the glass with scalloped edges becoming a few long thin legs with lots of droplets forming. Wonderful bright appearance. First Impression: Aromatic whisper of but not overly heavy scent of apples. Nice round slightly heavy bouquet of apples, with the spirit notes tickling the nose but not burning it like many of the grain vodkas can. 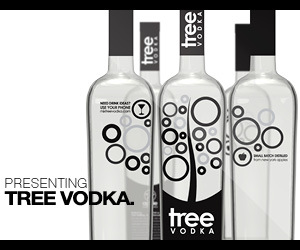 Taste: Mouth entry is light with a nice oily apple taste and mouthfeel that is slightly heavier than a standard vodka. Just a touch sweet and smooth with the alcohol warming you nicely and tingling the edges of the tongue. Nice apple notes after the vodka is gone with a lingering pleasant finish. Drinks: Quite drinkable at room temperature if you like eau de vies or grappa. But, like every other vodka, much better cold. Excellent martini- deadly smooth with a twist. Works very well in other drinks also adding a crisp apple body backbone and a small touch of sweetness. Other: This spirit is part of remarkable portfolio of the Domaine Select Classic and Vintage Artisanal Spirits Collection along with the following spirits we have already reviewed Averna Sambuca , Averna Limoni , Castarède VSOP Armagnac, Castarède Selection Armagnac, Deaths Door Vodka , G Vine Floraison , G’ Vine Nouaison , Spirit of the Hudson Apple Vodka, Macchu Pisco,Ransom Old Tom Gin, Rhum J. M. Blanc , Rhum J. M. Gold , Rhum J. M VSOP ,Rhum J. M. Vieux ,Sombra Mezcal, Stranahan Colorado Whiskey, Suprema Grappa along with others we have not yet reviewed but hope to in the future, given the quality of what we have already reviewed. 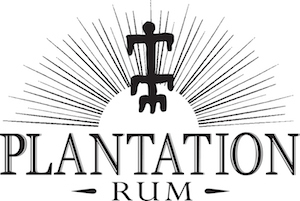 We applaud Domaine Select in spearheading a conscious decision to assemble a portfolio of artisanal spirits and to provide distribution and access to such a group of spirits to the trade and consumers. If only other companies did such a thing we would all be drinking in a better world. Nicely done from a unusual foodstuff or fermentable fruit for vodka. Very refreshing and interesting body,mouthfeel, and taste. In short a very interesting and worthwhile vodka that is worth seeking out. This vodka has a stronger identity as it were of a apple vodka or I should say a vodka made from apples. It is not distilled to the point where it just tastes like ethyl alcohol, it still retain a fair amount of charm and uniqueness. As a sidebar this product is made from fruit not grain (especially wheat) so people who have gluten issues should welcome this as an alternative to the usual. Bottle: Tall cylindrical clear glass bottle with long neck and black sealing wax over a synthetic (and well fitting ) cork .Attractive paper label reminds you of the apples of New York or similar lithographs. Somewhat distinctive and easy-to-spot, makes it easy to find on a store of bar shelf. Fast loading, nicely done, website. With descriptions of each product and a fairly large store. You can also buy used barrels from them for projects.